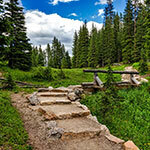 Rocky Mountain National Park is an integral component to the fabric of Colorado. With its plethora of wildlife, grandiose peaks, and stunning, awe-inspiring scenery, it has become one of the most visited national parks in the country. You can’t fully grasp an understanding of our beautiful state until you’ve visited. Officially established on January 26, 1915, here are a few interesting facts about the park that might surprise you. Opening in 1932, Trail Ridge Road was the first road into Rocky Mountain National Park’s high country. Before construction, the trail was used by Native Americans traversing from their homes in the west to reach hunting areas in the east. The road is around 48 miles in length and its maximum elevation stands at a staggering 12,183 feet, cementing it as the highest continual highway in the United States. Due to harsh conditions, the road is closed throughout the winter months, only reopening when the snow has melted and the route is safe for motorists to use. Although it’s hard to imagine, before 1978 moose were merely transients to Rocky Mountain National Park and the surrounding areas. 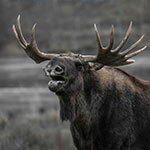 That all changed when the Colorado Division of Wildlife brought in 24 moose from Wyoming and Utah. The population thrived almost immediately. There are now an estimated 3,000 moose living in the state of Colorado, and that number only continues to grow. These fascinating, monstrous members of the deer family aren’t the only animals that call RMNP home. The park contains at least 63 different species of mammals, as well as 280 species of birds that have inhabited the area since 1915. From easy going strolls, to climbing a 14er, Rocky Mountain National Park has a trail for anybody, no matter their age or experience. 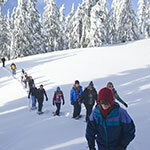 Boasting 450 miles of streams and 156 lakes, maybe the most impressive fact is that the park has an estimated 355 miles of maintained trails for hiking, snowshoeing, and even horseback riding. 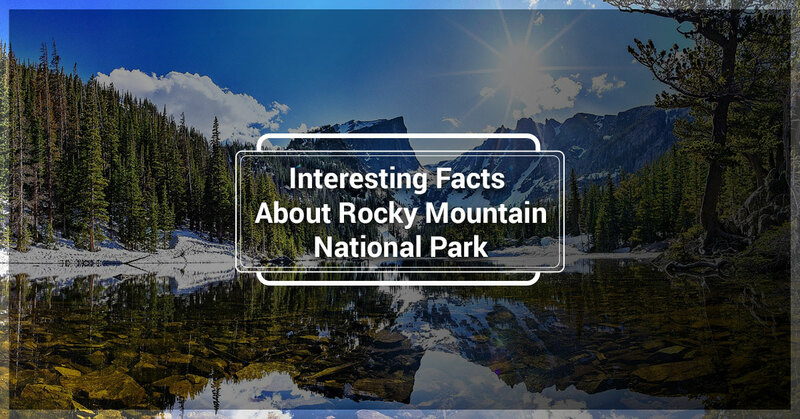 With about 358 square miles of wilderness, Rocky Mountain National Park stands as one of the largest parks in the nation. In the summer of 1916, a pair of sisters arrived in Estes Park in search of adventure. Elizabeth and Esther Burnell were college educated women that lived for the thrill and splendor that only nature could provide. They knew that they had found their new home as soon as they settled in. Befriending Enos Mills, a man paramount to the creation of the park, they were encouraged to take the examination to become nature guides. They passed the test and became two of the most trusted guides in the area. Elizabeth became the first woman guide on Longs Peak, and headed the nature trail school for 12 years. Esther married Enos Mill in 1918 and helped him run the Longs Peak Inn until his untimely death in 1922. These sisters were truly trailblazers in every sense of the word and RMNP would not be the same without their influence. With over 3 million visitors per year, its easy to see why so many people love Rocky Mountain National Park. From the abundance of wildlife, to the jaw dropping geological sites, it is a wonder at any time of the year. No matter your age, no matter your interests, the Park has activities and scenery for you. What are you waiting for? Check availability to our luxurious cabins of Rams Horn Village here and plan your next unforgettable trip!